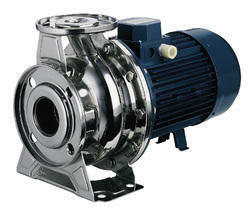 Manufacturer of a wide range of products which include solar submersible pumps and stainless steel centrifugal pump. 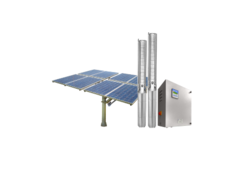 Highly energy efficient Submersible Solar Water Pump with energy efficient inverter duty motor. High efficiency solar Photovoltaic panel with a service life of minimum 20 years. Robust design Galvanized steel mounting structure for long life. High technology automatic controller with dynamic MPPT(Maximum Power Point Tracking) control method. Environmentally friendly air and noise pollution free solution. Water supply for small villages,school,hospital and homes. Less maintenance due less rotating parts.